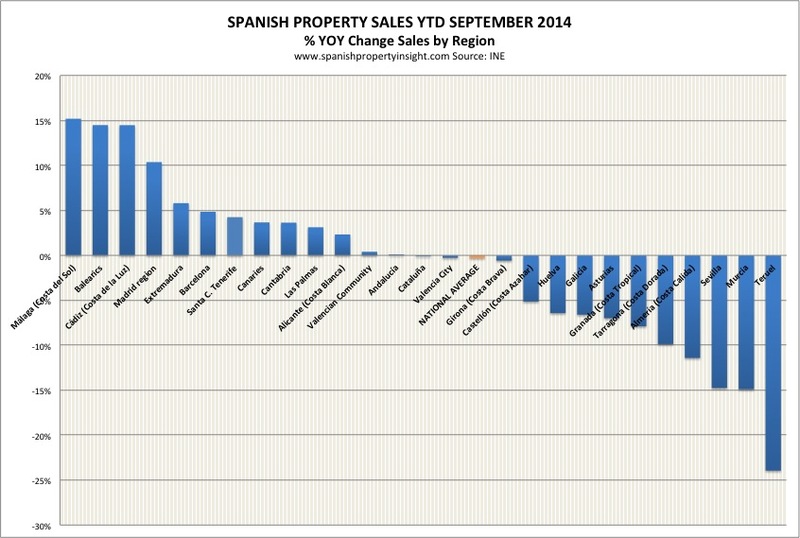 After dipping in August, the number of Spanish home sales inscribed in the property register surged an annualised 13 per cent in September, reveal the latest figures from the National Institute of Statistics. Excluding social housing, there were 24,096 sales registered in September, the highest level in four years, and 14 per cent up on a monthly basis. Year to date (end September) there were 216,682 sales inscribed in the register in the first nine months of the year, almost identical to the same period last year. 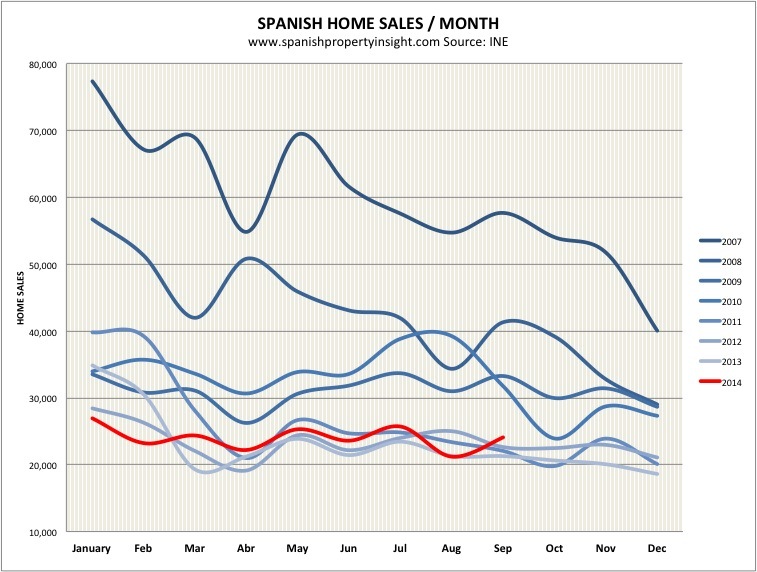 On that basis it looks like the Spanish housing market is no longer shrinking. 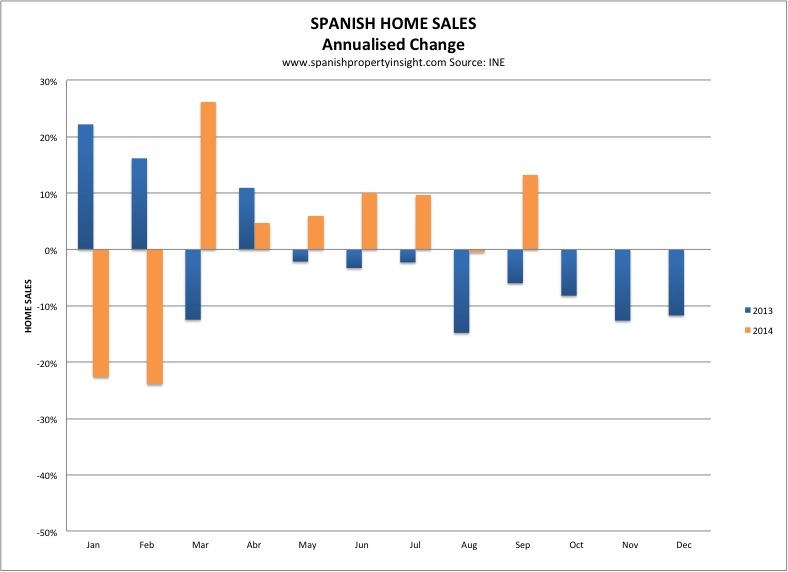 Looking at the annualised change in sales each month, this year is clearly an improvement on last year, excluding the first two months of the year when figures were artificially distorted by tax changes. 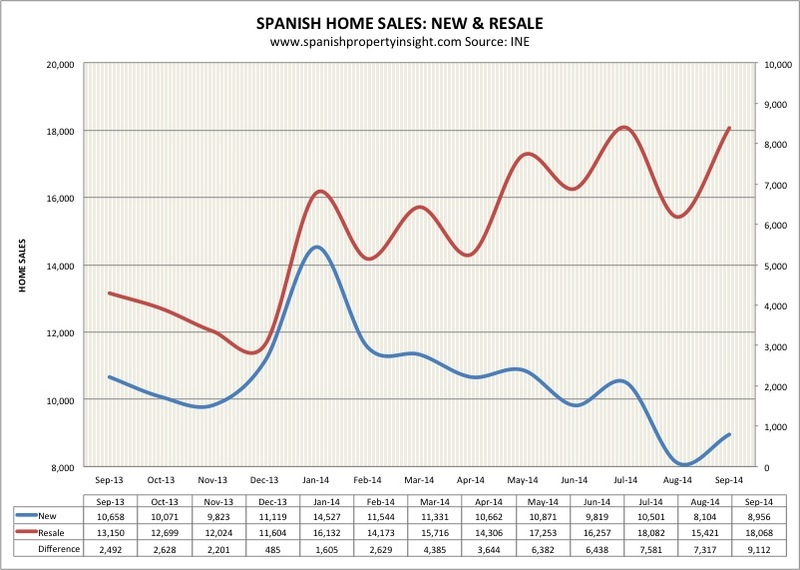 The difference between resales and newly-built (never previously sold) properties continues to widen, though sales of both types increased in September, resales +17% and new builds +10.5%. What is driving the swing to resales? After years without building any new homes it is possible that the supply of new homes that people actually want to buy is running dry. Buyers increasingly have no choice. By region, Malaga province, home to the Costa del Sol, and the Balearics, are up close to 15 per cent this year, with Barcelona, the Canaries, and Alicante – home to the Costa Blanca – also showing strong gains. Coastal provinces where foreigners tend to buy are doing much better than provinces in the interior, which rely more on local demand. Finally, a summary table of monthly sales since 2007.